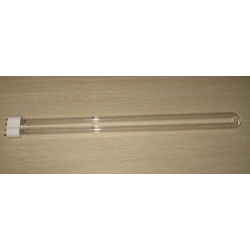 High ozone uv lamps which are made of high quality quartz glass. The type of fused quartz used to make the bulb, or envelope, of a germicidal lamp determines the wavelengths of ultraviolet (UV) emissions that react with the oxygen in the air to produce ozone. Ozone is an extremely active oxidizer. It destroys microorganisms on contact and also acts as a deodorizer. One of the primary advantages of ozone is that it can be carried by air into places that UV radiation cannot directly reach. We offer our clients Very High (VH) germicidal lamps which generate energy at 185 nanometers (nm) in addition to the Low (L) 254 nm line. 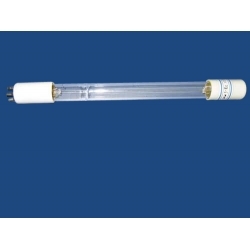 VH lamps are made with clear fused quartz and L lamps are made with a specially doped fused quartz that prohibits the emission of energy at 185 nm. VH lamps are used in a variety of settings including the treatment of air, pool, and spa water. The process of Total Organic Compound (T.O.C.) reduction also utilizes VH lamps. 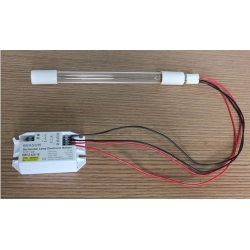 These lamps are also commonly used in the heating ventilation and air conditioning (HVAC) industry. We can custom design and manufacture lamps which can produce various amounts of ozone to meet specific application requirements. For applications in which a moderate amount of ozone may be required, we can splice the two types of quartz together in a ratio to produce the desired amount of ozone. 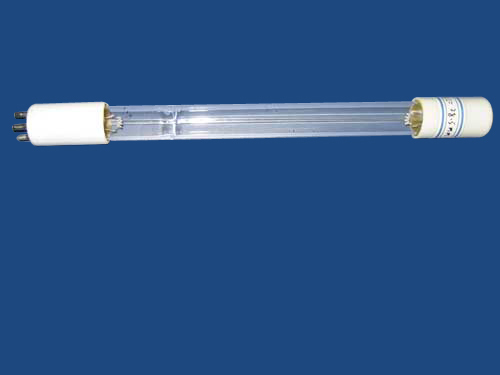 This high ozone amalgam uv lamp design requires more intense ultraviolet (UV) radiation in a limited space. U-Lamps are available with center-to-center leg spacing of 22 or 76 millimeters (mm), and offer the perfect solution by effectively doubling arc length.